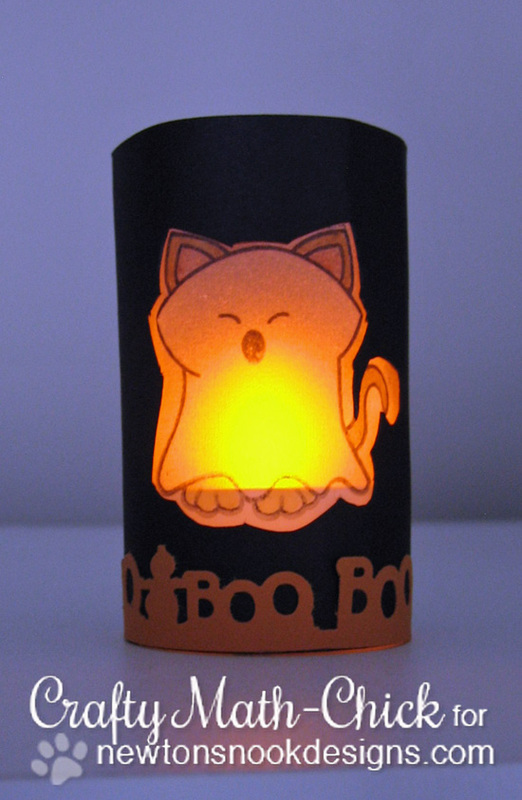 Newton's Nook Designs: Halloween Kitty Luminary by Crafty Math-Chick! This kitty shines bright for Halloween! Today I'm sharing a super fun Luminary by Crafty Math-Chick! The fun ghost kitty is from our Boo Crew stamp set and is purrr-fect for Halloween! This little guy would be so fun to put in your windows for Halloween or to make a bunch for a Halloween party table setting! Want instructions on how to make this cutie? 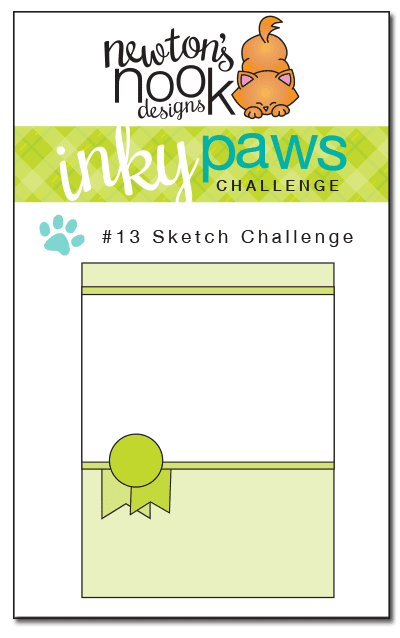 To see a FULL TUTORIAL, pop over to Crafty Math-Chick's blog, Canines and Card Designs! This is so cute! Perfect for Halloween :)! Newton makes a most marvelous luminary, all aglow in his ghost costume! Super sweet! !